OUT at Borgata’s first Pride Bingo in June of this year was such a raging sold-out success that the queens are returning to the resort this August! Your favorite local drag legends will take to Borgata’s Central Conference Center on August 19 for an evening of naughty camp, plenty of performances, and a great night with friends. 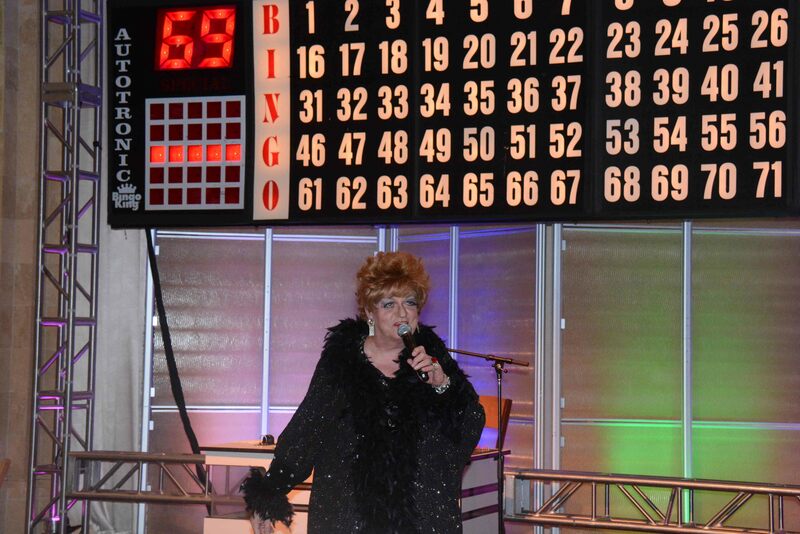 On Saturday, June 3, the one and only Sandy Beach treated hundreds of loyal fans of both the Atlantic City GLBT Alliance and our OUT at Borgata program to an evening of bawdy laugh-out-loud comedy as she hosted Borgata’s first ever Pride Bingo event. The event also featured special drag performances by former Miss’d America contestants, all while supporting the Greater Atlantic City GLBT Alliance‘s Miss’d America Pageant. Guests enjoyed signature cocktails made especially for Bingo and won real Borgata prizes like overnight stays, dinners, spa treatments, tickets to see OneRepublic, and a $1,000 Borgata Gift Card. Get ready to win big, all for a great cause, while being entertained by Sandy Beach, DJ KC, Morgan Wells, Alexia Love, and Lemon Fresh Joy. It’s OUT at Borgata‘s first ever Pride Bingo, which will take place on Saturday, June 3 at 8PM at Borgata’s Signature Room, located next to Bobby Flay Steak.